Killer whales don’t kill people and are in fact the largest member of the dolphin family. With their distinctive black and white patterning and huge dorsal fins, a pod of orcas powering through the waves is one of the most impressive sights in the natural world. What do orcas look like? If you’re an eight-metre-long, six-tonne predator, sneaking up on a tasty herring can be a tricky business. Which is where an orca’s black-and-white colouring is useful. This patterning works like camouflage, from above and below. It breaks up their appearance and makes them harder to see in the water. 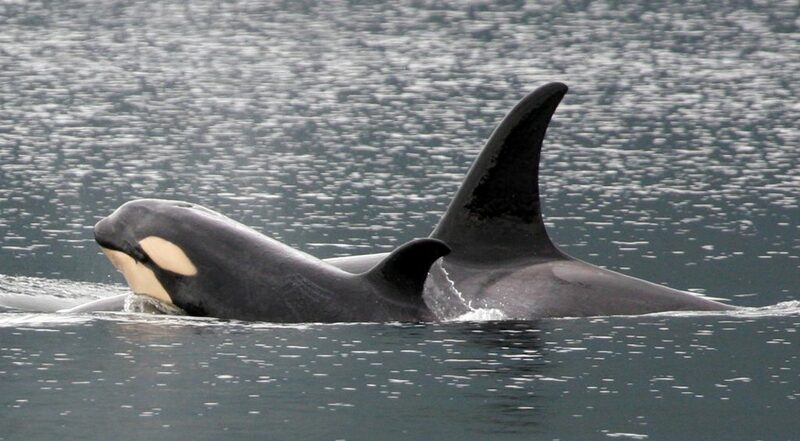 But above water, orcas’ tall dorsal fins make them easy to spot when they’re swimming close to the surface. 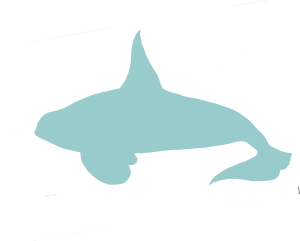 Males have longer dorsal fins – up to two metres – that’s taller than most humans. What’s life like for an orca? 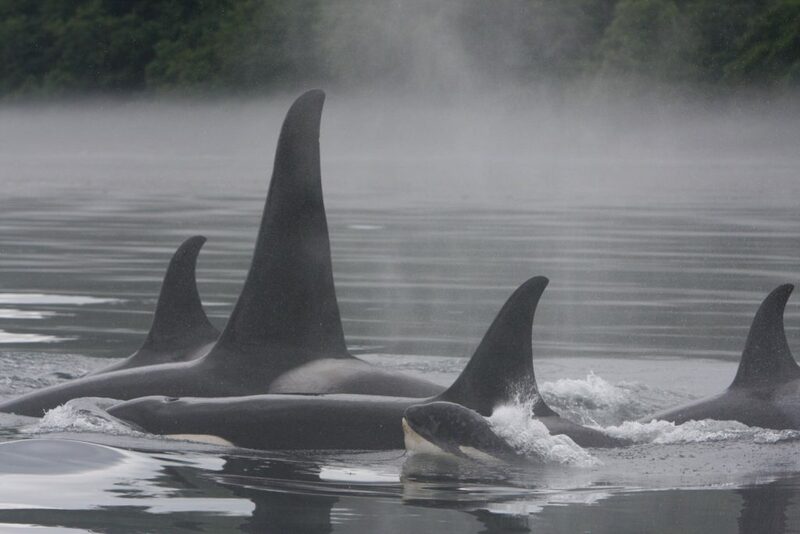 Orcas live in family pods of up to 50 individuals. Calves do not leave their mothers’ sides when they become adults, and you’ll sometimes find pods containing four generations. The eldest female orca is in charge, telling the group when and where to feed. 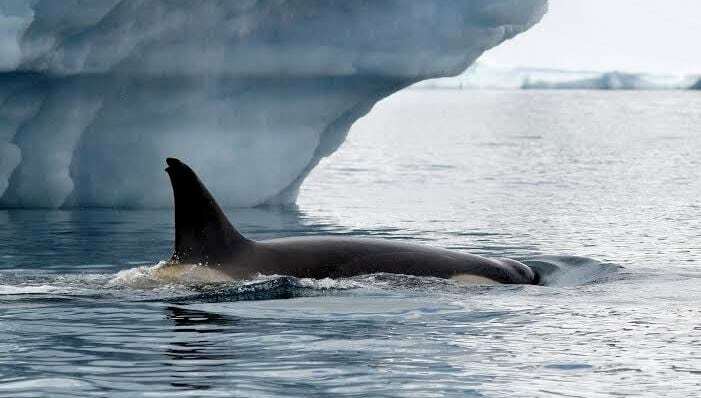 To be a successful orca, you need to master a huge range of skills: hunting tactics, social interaction, knowledge of feeding and breeding grounds, and migration routes. Adult members of the pod teach the young these essential life skills, and one day they will pass on these skills to their own children. This knowledge forms a kind of orca ‘culture’, handed down from generation to generation. Orcas hunt in packs, co-ordinating their feeding raids with incredible skill. They eat a variety of different prey, including fish, seals, dolphins, sharks, rays, whales, octopuses and squids. But often a pod will specialise in eating just one type of animal. For instance, one pod might have perfected their seal-hunting skills over many generations and focus only on seals, while another pod might be awesome at chasing down salmon, and so they ignore everything else. How does an orca sleep? Orcas sleep with just one half of their brain at a time. They need to remain semi-awake all the time, so they can surface to breathe. How many orcas are there in the world? There are tens of thousands of individuals spread throughout the world’s oceans and, taken as a whole, they appear to be doing well. 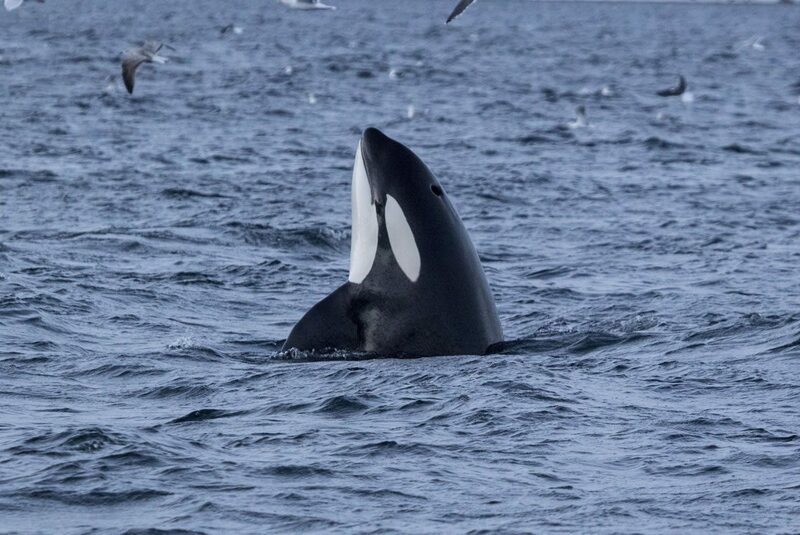 But there is much discussion going on at the moment about whether there are in fact several species or sub-species or orcas. 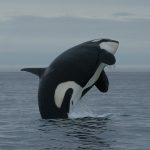 Some orca populations show differences in their genetic make-up and behaviour that make them quite distinct from each other. Some of these distinct populations are faring better than others, with a few populations having experienced a decline of 30% or more, which would lead to them being treated as endangered. But until agreement has been reached on these possible different orca species, their official IUCN status is ‘Data Deficient’. Do all orcas speak the same language? Talking in clicks and squeaks, each pod has its own distinctive dialect – similar to regional accents. But orcas from different areas of the world can have languages as different as French is from Cantonese. 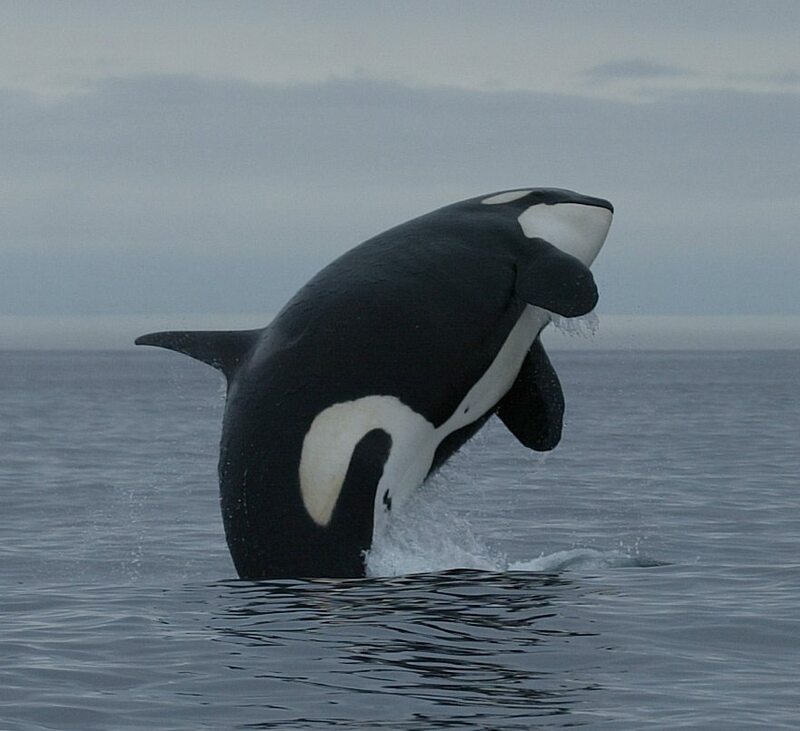 Orcas are also known as killer whales, but this name is misleading. These marine mammals are not mindless killers, but highly intelligent predators hunting in co-ordinated raids. They care for old and sick individuals in their pod. And they are actually the largest member of the dolphin family. 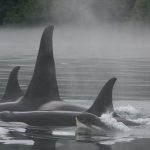 Over the last few decades, as wild orca research has expanded, researchers have described different forms or types of orcas. 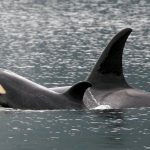 Known as ecotypes, these distinct types of orcas differ in size, appearance, prey preferences, foraging techniques, dialects, behaviours, and social groups. Their ranges often overlap, but they are also genetically distinct – they don’t appear to interbreed, and rarely interact with other ecotypes. Whaling – several countries still hunt and kill orcas. They include Greenland, Japan and Indonesia. Captivity – orcas are still taken away from their family pods to be sent to marine parks for human entertainment.